The National Economic and Development Authority board, which is chaired by President Benigno Aquino III, has approved the construction of the Laguna Lakeshore Expressway Dike Project. At a cost of P123 billion, it is "the biggest project of the Aquino administration to be implemented through a Public-Private Partnership arrangement." The project reportedly has two components--a road dike and land reclamation--and aims to mitigate flooding in the Laguna Lake coastal towns (particularly in southern Metro Manila and Laguna), improve the environmental condition of the lake, and "promote economic activities through the efficient transport of goods and people." 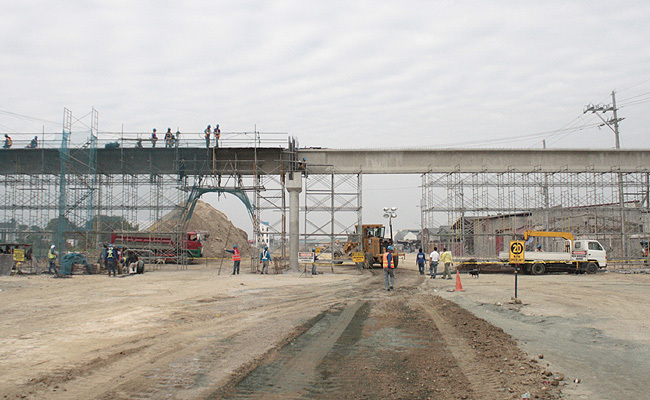 The Laguna Lakeshore Expressway Dike Project involves the construction of a 47km flood control dike, on top of which will be a six-lane expressway. Its design will supposedly run on a mainly off-shore alignment at least 500m away from the western shoreline of Laguna Lake. It will include pumping stations and floodgates and will start in Taguig, pass through Muntinlupa and Calamba, and end in Los Baños. Construction of the project is expected to start in late 2015 and end in 2021. We'll have to wait seven years, but at least going to Laguna should be a lot easier after this.